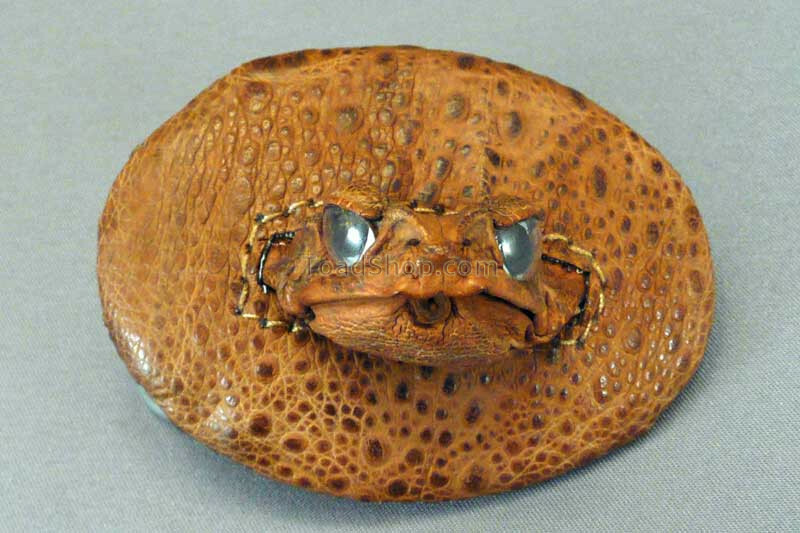 A belt buckle made of real Cane Toad leather featuring one Cane Toad head. 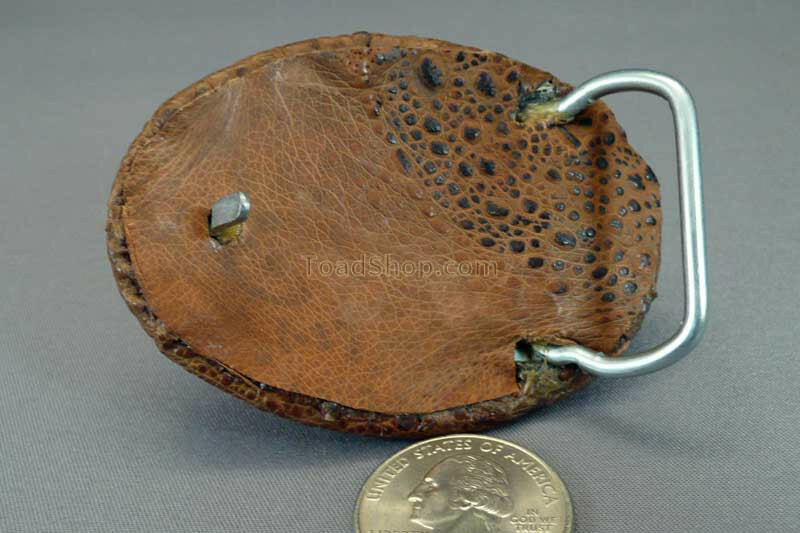 This is just the gift to purchase for the guy or gal that likes to wear different belt buckles. 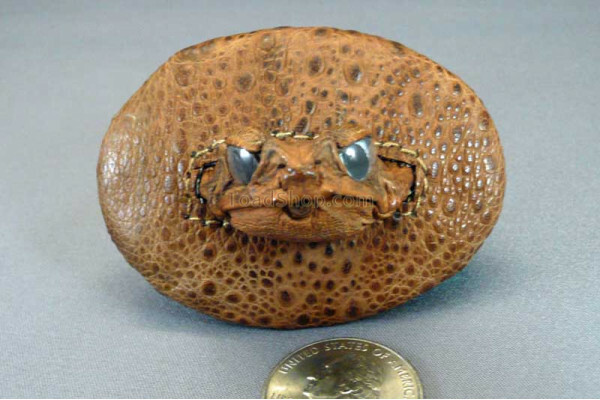 An exotic cane toad skin with the head of a small cane toad.